Enjoy a truly unique experience! For bicyclists and non-bicyclists alike! 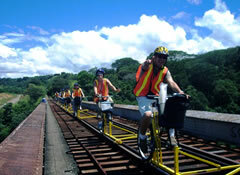 While tours are not currently available from Railbike Tours, Inc., we are exploring ideas for future tours. 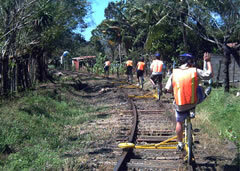 Contact railbike@railbike.com if you're interested in a partnership with railbike tours. 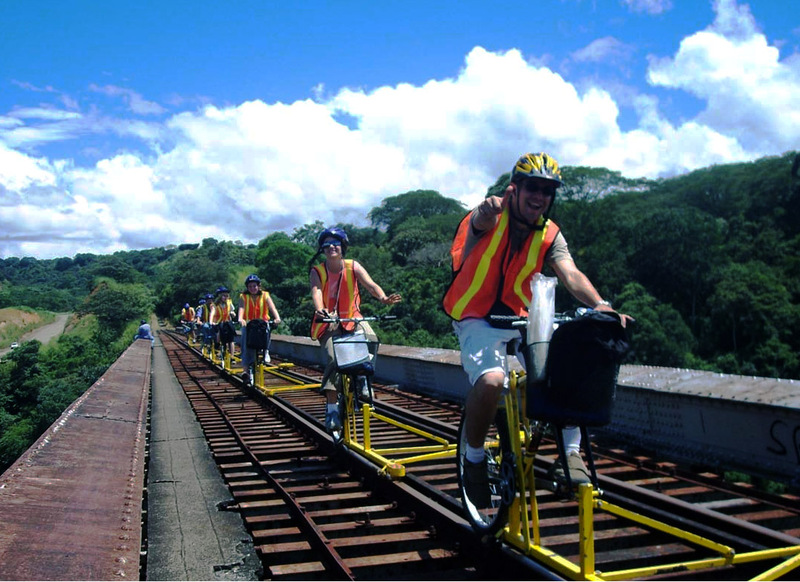 Our stable railbikes are well-built for many types of rail riding! 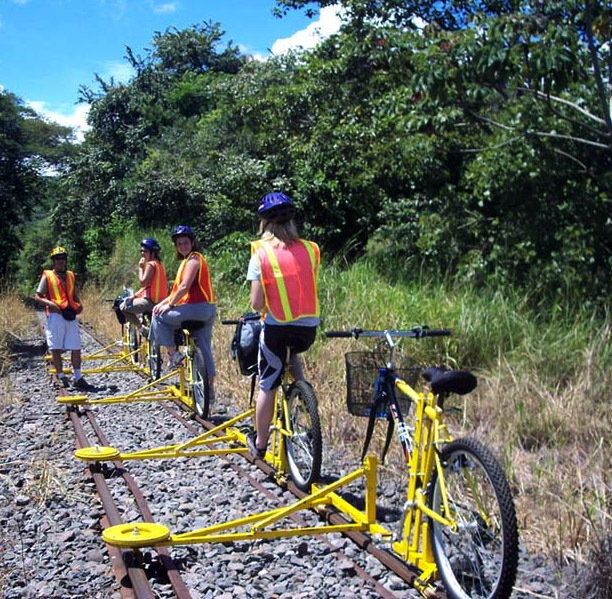 Whether it's a pleasure ride on private track you own (and have permission to ride on), or transporting goods into areas not easily accessible by motorized vehicles, our railbikes suit a wide variety of needs. 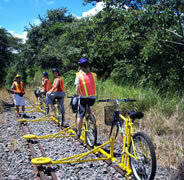 View protoypes and prices on our Buying Railbikes page. Photo Album of railbikes in action. Where do I call for more information?